We have created fast rotating petal modes with the aid of a digital micromirror device (DMD). We believe that the rotation speeds can go up to 2000/l Hz with the type of DMD that we are using. We have shown that the speed of the beam's rotation is inversely proportional to topological charge, and that the DMD is capable of reconstructing these beams to a high degree of accuracy with good visibility between petals. For the purposes of trapping, higher-order modes are shown to be easier to control than lower-order modes because the beam's rotation was far more accurate and predictable. K. I. Remulla, N. A. Zambale, J. P. Narag, and N. Hermosa. 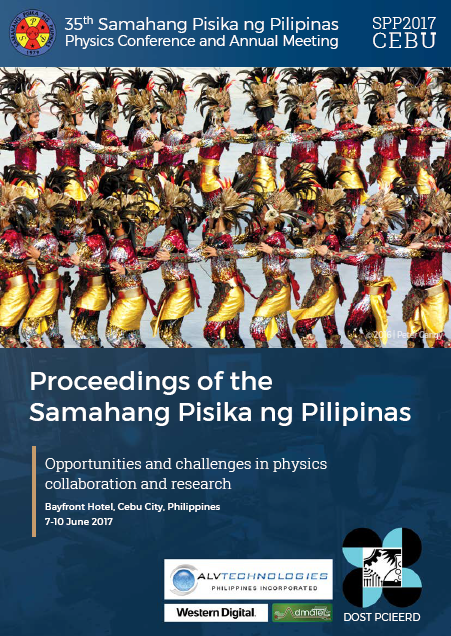 Rotating petal modes using a digital micromirror device, Proceedings of the Samahang Pisika ng Pilipinas 35, SPP-2017-2C-06 (2017). URL: https://paperview.spp-online.org/proceedings/article/view/51.